Distributing diplomas? Make sure to spread the word with Graduation Posters! 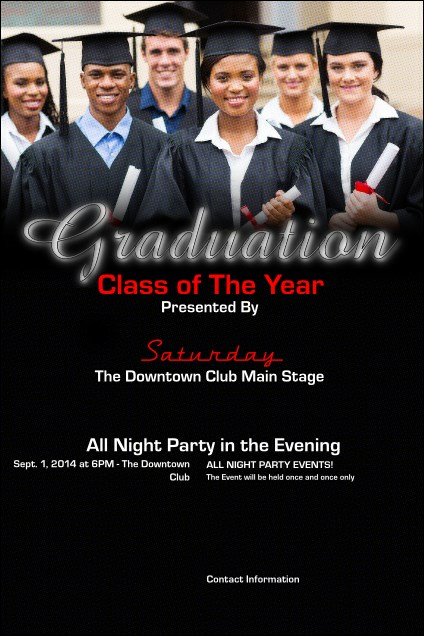 A group of proud grads smile from the top of this template, beneath which event details pop in red and white. Customise it to your needs—we’ll turn your order around in one business day. Promote your upcoming festivities! Order custom printed posters from TicketRiver.com.au.